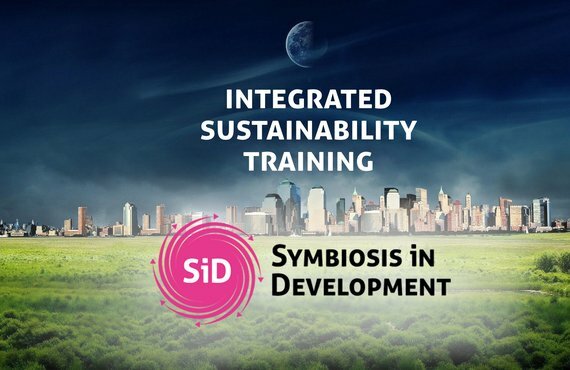 The 3-day Symbiosis in Development (SiD) training introduces teams to the key components of integrated sustainability, systems thinking, and sustainability roadmaps. These core components are essential for a full understanding of the global sustainability challenge, its theory, strategies, and solution pathways. The program is intimate, fast-paced, and optimized for teams of 6-8 people. The 2+1-day training is taught and facilitated by experienced senior advisors, either in-house or at the UCo center for sustainability in Utrecht. Symbiosis in Development is developed to provide an answer to the increasing complexity of today's sustainability challenge. It is the only full-scope framework for tackling systemic change available today, and critical for anyone wishing to seruiously engage in sustainable development. SiD is a complete framework for integrated sustainable development, developed in practice, for practitioners, by practitioners. Frontrunners in the field of systems thinking and sustainability continuously refine the framework, over the past two decades and ongoing. Using SiD gives the team deep insight into how projects and organizations affects society, where intervention points lie, how to minimize negative and maximize positive impact, and how to build an actionable roadmap towards tangible results. If you'd like to talk about how this program can meet your learning goals, call Freek at +31 30 307 57 34 or email training@except.nl. What is systemic and integrated sustainability, and how does this help me to see the world clearer? What sustainability frameworks are out there, what are the characteristics of each, which ones are important, and which ones just a hype? How can we improve the strategic position of a project or organization, as part of working towards a sustainable society? How to build a roadmap, set targets and KPI's, and meet deadlines using SiD? How do we work together in fast-paced teams, together with stakeholders, to tackle complex sustainability challenges? The program is divided into two parts, a two day intensive workshop from 9am to 6pm, and a follow up day one week later. It hastheoretical components, interlaced with case-studies, teamwork, demonstration videos, creative exercises, and hands-on application. The program is led by experienced facilitators that both give the workshop while also working to apply integrated systemic sustainability in the field. The program can be adjusted to fit your organization's context and planning requirements. It can be given on-site in the UCo center for sustainable entrepreneurship in Utrecht, on-site, or fgor best results, in a natural retreat. This allows the program to be used as a teambuilding and leadership program as well.